Jan. 10, 2017 marked the day Barack Obama gave his last televised speech as President of the United States. Almost immediately commentators began discussing and dissecting it. Through the whirlwind of news coverage that followed the address, one moment in particular kept coming back to me. Obama said something that resonated much like a call to action. "If we are unwilling to invest in the children of immigrants just because they don’t look like us, we will diminish the prospects of our own children because those brown kids will represent a larger and larger share of America." Perhaps it comes from the work that I do with kids in the juvenile justice system that forces me to be acutely aware of the racial disparity that exists. Or maybe it comes from the fact that I feel pressure as a parent myself, pressure to raise children who will stand with the marginalized, the oppressed and those who have not had the same privileges that they have been afforded. But whatever it is, I was moved, and I was hopeful that maybe others would be moved to do right by these "brown kids" that "don’t look like us." Regardless of your race, political affiliation or background, I think you should pay attention to Obama’s words. These children of immigrants will grow up and likely remain here in the U.S. They will work alongside your children or grandchildren. They will vote, and they will help determine the America of the future. We need to invest. We can all do something. Volunteer to be a mentor, or a coach, or to tutor a kid who may be working hard to learn a new language. Teach your own children to be kind, to understand and treat people with respect, especially the ones with whom they don’t agree. For those of us who have a sphere of influence within the justice system, let’s learn the facts. The truth is that brown and black kids are much more likely to be charged and serve time when compared to white kids who commit the same offenses. They are more likely to serve longer sentences, less likely to get early release, and they have higher recidivism rates on average. The fact is that there are programs that keep kids at home and keep communities safe. There are treatment models that are effective at decreasing the rates of re-arrest. Multisystemic Therapy (MST) is one of them, but there are others. Let’s put our money into evidence-based models and not into youth prisons. 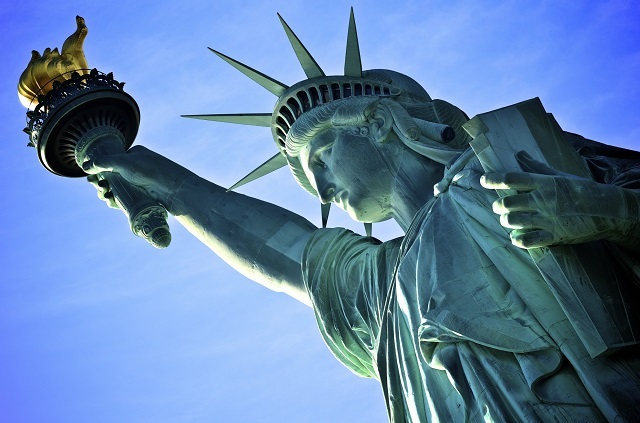 In 1883, Emma Lazarus penned what would become the inscription on the Statue of Liberty, "The New Colossus." "Give me your tired, your poor, your huddled masses yearning to breathe free, the wretched refuse of your teeming shore. Send these, the homeless, tempest-tost to me, I lift my lamp beside the golden door." I was 12 years old when I first read this inscription. (I know because I asked my Dad.) I can remember it. I remember thinking that I was proud to be part of a country like ours. I thought about how my own forefathers came to America as immigrants, came to prosper and succeed. I was standing there because they had forged a new life. I didn’t know then I what know now—we all have a role in making America that kind of place. To learn how Multisystemic Therapy can play a part in reducing racial disparities in the juvenile justice system, download this white paper.